Other than eggnog, most people don’t really think about drinking egg concoctions. 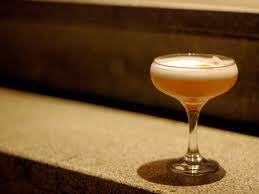 I’ve had some amazing cocktails recently that showed the power of the egg white. 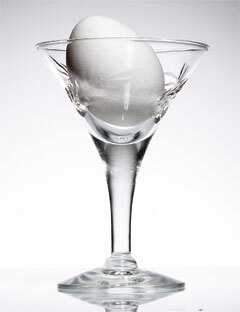 Egg whites add a wonderful consistency and foaminess to a cocktail that can make many drinks much more interesting. drinks that contain the egg yolk often have “gold” in their name and those with egg white “silver”. fill highball glass with ice while you mix drink. shake juice, sugar, egg and gin without ice. then add ice from glass and shake it some more. probably a good 20-30 seconds in all. once you’re worn out, strain into glass, top the frothy mix with a few ounces of cold soda water. Egg whites may turn a lot of people off, but if you’re buying eggs from a reputable place, you should be fine. It’s really worth it! I love this. I’m going to make these when Marcia and Liz visit next week! You are currently reading Egg whites make for great cocktails at 52 To Do.